The ‘Happy Healthy Home’ initiative is part of our CHE program. CHE is continuing to gain momentum in the villages of Bobi, Warrak & Guaria. Over the past few weeks our team have visited several hundred homes of CHE participants as part of our ‘Happy Healthy Home’ competition between the villages. We encourage CHE families to implement changes in the home to make a Happy Healthy Home and receive a certificate. 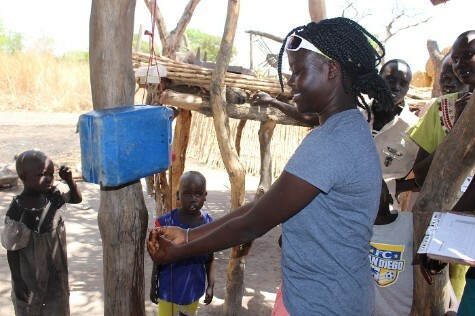 They are evaluated on eight physical components, like child vaccination, sleeping under mosquito nets and using a tippy tap for hand washing. They are also evaluated on seven spiritual components like being part of a bible study, and able to share their testimony. We were so blessed to see so many homes having implemented all 15 criteria! Warrak won the award for the most completed Happy Healthy Homes, and Bobi for the most participating homes (almost the whole village!). Over the coming weeks we’ll be having feasts in these villages to celebrate their achievements. South Sudan has one of the highest maternal mortality rates in the world, and one of the key contributors is women giving birth in remote villages without any skilled health attendant or way of getting help if there are complications. Our medical clinic has a thriving Antenatal program but a lot of the women who attend our clinic come from villages miles away for their check-ups so they don’t come back during labor. Thankfully, we can predetermine those women with high risk through ultrasound and advise them accordingly. Last year, Dr. Destinee Macleod proposed we start a small maternal waiting home for women with high risk pregnancies living in remote areas so they can stay in their final weeks of pregnancy and have a safe birth. The maternal waiting home is a hut big enough for the entire family to come so children can stay with the mother. It is built on our land so the mother can be monitored closely and attended to in labor. In March, Achut along with her husband and daughter arrived to stay in the home. They had lost their two previous children, and scans showed potential complications in this pregnancy. Achut gave birth safely to her first son at our clinic, and she named him Richard after our missionary who passed away in March while building our new Maternity & Pediatrics ward here in Tonj. One of the ways God is using short-term missionaries is through training programs. These vitally needed trainings can only happen when we have the extra help. This year we have volunteer STM from March up until October. Amy Nilsson is a nurse from New Zealand and was here last year for 5 months and staying 4 months this year. She has been training our new Community Health Workers, none of which have been through any formal training. 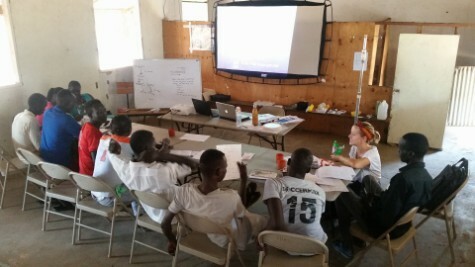 She set out some learning objectives and ran a training workshop teaching them key skills they need for working in the clinic; setting up infusions, giving injections, wound dressings, assessing patients and recognizing a deteriorating child. They were all very eager to learn. Email us for more information on volunteering short-term. Please pray for us as we enter into the busy malaria season. it is wonderfulp to see houw the work is progressing, specially encouraging te learn about the HHH!